My day started out with a cranky baby that was left with me by my daughter. She had to get her hours in and baby "Fia", as she calls herself, or Sophia, which is her real name, my only female grand baby has not been feeling well (yes I am a young Grandma). It was rough at first but we got through breakfast and of course that was not easy because my microwave oven died a day ago for no apparent reason. It caught fire and I got it out immediately with a hot pad luckily. The day ended with my daughter getting financed for a new car, yay, and me picking up two new sculpts to work on. So all in all it worked out to be a great day. I have certainly found an hobby with a certain addiction to it. I just found this little baby wants to come home for me to doll up. Naveah, this cute little princess, by Denise Pratt is certainly a gorgeous little baby sculpt that is breaking my wallet open again. I think she needs to come home with me so I can paint her little cuteness. I love how sweet she looks, plus she appears to have that realistic sculpt. Here she is in all her glory. 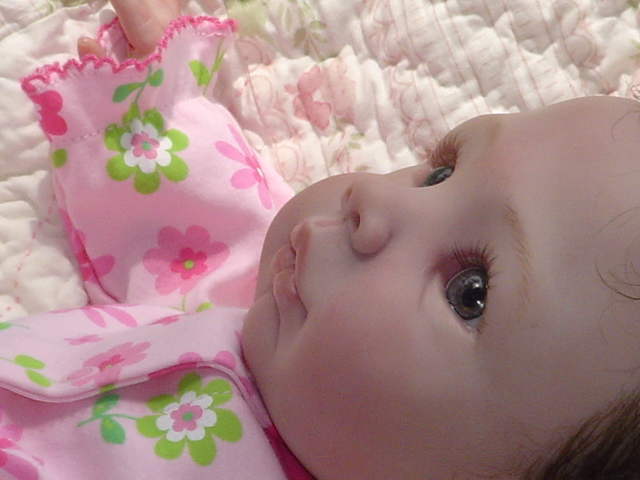 Reborn by Tinkerbelle Nursery she is making me want to keep her for my own. Every part of her is adorable. As long as we are talking about babies that I am in love with, Libby is another sculpt that I am smitten over. I guess I really love that real newborn look. 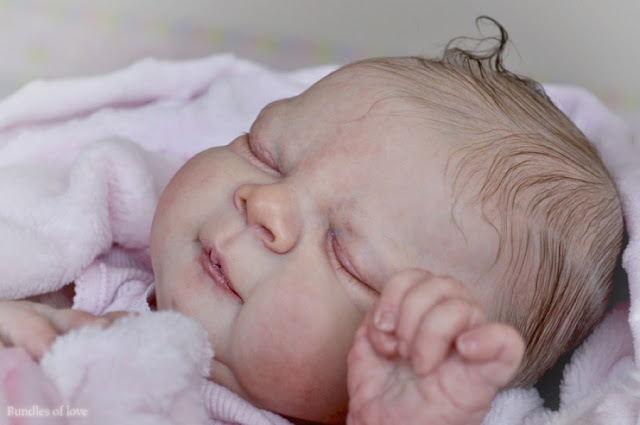 Some Reborn dolls look funny to me but not these ultra-realistic babies. Please let me know your opinions, I would love to hear them! Libby and Naveah may be next on my list of babies to Reborn! Cuteness never ends with these Reborns! Well I have already got Naveah on the way so she is 4th in line for my loving artisan touch. I can't wait to get her and start reborning her! I also picked up Kendal, by Pat Moulton because she is not something I see as what I specifically like so she will be a challenge for me. I think she has a pretty face though so I would like to see what I could do with her. I am off to get some rest. All this family business has worn me out for today! Come by and visit again soon or say hi on facebook!